There is no question that healthcare costs are one of the largest expenses an employer has. 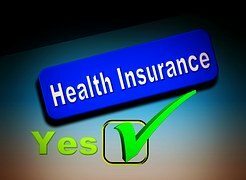 Employers are looking for ways to keep the escalating healthcare premiums in check, and employees are looking for healthcare options. Having a comprehensive healthcare program can be one of the best ways to retain and attract the best employees. That is why it is important to have a communication plan in place and make sure all employees know and understand your commitment to their health. Offer quarterly healthcare 101 classes during a lunch hour. Bring in your agent or healthcare provider to explain benefits. Educate employees about the different plan options available to them. Create monthly healthcare email updates. Ask your employees what is important to them; then provide information they care about. Do not wait until open enrollment to address healthcare. Leap / Carpenter / Kemps Insurance Agency has the area’s largest and most experienced employee benefits department with access to more plans and more options for employers, including some that are exclusive to Leap / Carpenter / Kemps.